Hi my name is Jason Walter. In 2007 I was diagnosed with the same type of cancer that we lost my brother to 18 years earlier. Because of my family history, the doctors weren't taking chances and assigned a very rigorous treatment plan. Much to my surprise, they did not discuss nutrition or lifestyle habits with me. I thought this was unusual and began researching the field on my own. After gaining extensive knowledge of nutrition and biochemistry, I became very passionate about taking that aspect of my treatment into my own hands. I began making significant changes to my diet and lifestyle. I put myself on a strict daily regimen of fruit and vegetable juicing, including wheatgrass shots, and I began to choose foods based on the quality of their ingredients. I believe this is what helped me through both my cancer, as well as the treatments. The process was time consuming and expensive, but the benefits were priceless. Like many of you, family and work occupy just about all of my time, which makes it a challenge to eat healthy. Processed foods are quick and easy, causing many people to choose these even though they know they are not ideal. Many would prefer a healthy meal, but sometimes it’s just not possible, so I wanted to find a solution. Seeing this as a challenge, my entrepreneurial spirit kicked in and I began working on a line of health supplements. I believe obtaining essential vitamins and nutrients may help prevent cancer and other degenerative diseases, so I began to spread the word about the importance of nutrition and the impact it has on our health. I enjoy the process of sourcing the best ingredients based on their nutritional value and blending them in a way to create unique flavors. 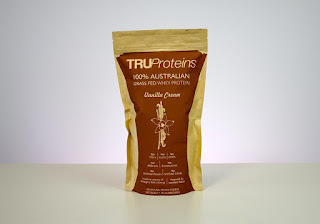 After several years of work I created TRUProteins, which is a daily nutritional drink that is easy to incorporate into a busy lifestyle, and provides numerous health benefits through whole-food ingredients. I believe you should know exactly what ingredients are in your protein powder, and what the benefits are as compared to other proteins. Surprisingly, many protein products contain known carcinogens, fillers and other toxins that are harmful to your health, even though they are sold as a “healthy” product. I believe my diagnosis was a catalyst to opening my mind up to a whole new way of living, and I want to share this gift of knowledge by creating a healthy line of this widely-used product. I believe that protein shakes should taste great and I’m confident that you will love TRUProteins various flavors. I truly hope that my passion for health and nutrition can be passed along to you, and that you lead a healthier and happier life because of it. 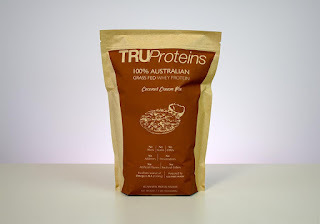 TRUProteins Protein powders are absolutely amazing! I love the 100% grass fed whey protein powder because grass fed really is the way to go these days. It's more nutritious and I believe it tastes much better than the alternatives. 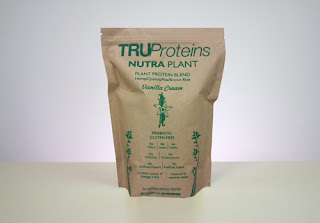 I also love that TRUProteins Protein powders are Non-GMO, Gluten-free and rbGH Hormone-free. 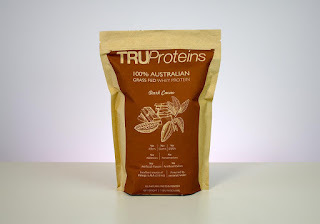 The quality of TRUProteins Protein powders is phenomenal! Each batch is 3rd party lab tested for Strength, Purity & Composition. I also love that they offer a plant based protein powder that also tastes great. TRUProteins offers a variety of flavors so your sure to find one that's just right for you. 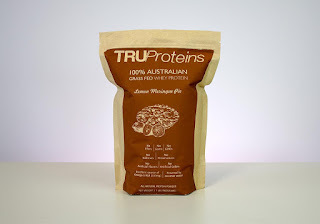 I highly recommend TRUProteins Protein powders! To learn more about TRUProteins click HERE! Click HERE to check out more flavors! Follow TRUProteins on social media!